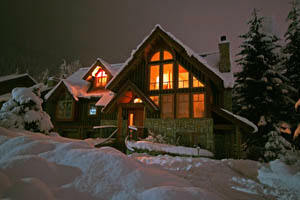 Homeowners are now enjoying the benefits of using heat tracing for gas and water lines. A ruptured water line can cause costly damages, not to mention put you out of your home until the damage is fixed. Pipe tracing is a simple and inexpensive investment that will prolong the life of your home’s pipes and prevent pipe freezing. Typically, one method of combating freezing pipes in residential buildings during the winter is to switch to an indoor water tank, which results in a limited water supply and rationing. These systems are costly, hard to maintain, and take up large amounts of space. Pipe tracing, however, is an effective and efficient long term solution for preventing winter pipe freezing. 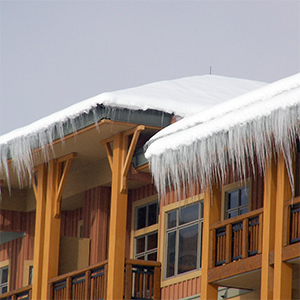 Warmzone roof deicing systems are the best available radiant heat systems for preventing ice dams and icicles from forming. Warmzone offers roof heating systems for all types of applications, including new construction, remodeling, and existing roofs. Installing radiant roof heating can extend the life of your roof as well as enhance the value of your home. Snow and ice melt systems provided by Warmzone are at the top of their class in performance, efficiency, ease of installation, and energy conservation. Browse through our roof deicing section to learn more about our radiant roof snowmelt and deicing solutions, or contact one of our radiant heat specialists or submit a quote request by clicking the "Get Quote" link. 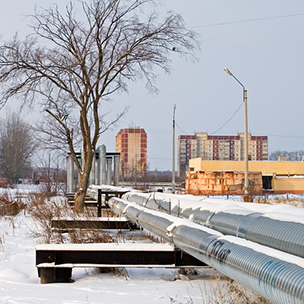 Pipe tracing systems use self-regulating parallel circuit, radiant heating cables to provide the most effective solution for basic freeze protection applications. The power output of the conductive core material increases or decreases in response to ambient temperature changes, making the cable safe and efficient. This effect occurs at every point along the length of the cable, thereby allowing the pipe tracing cable to adjust the power output to the varying conditions along the length of the pipe. Because of the self-regulating properties of the heat cable, it can be overlapped without creating hot spots or causing a burn out within the heating element. The self-regulating functionality of the heat cable ensures maximum energy efficiency by producing heat only when and where it is needed.